All sessions of Enigma Live on Friday (save for the WCC keynote) will be in conference room number 0.26 at the Supercomputing Center. We will be linked to the National Museum of Computing in Bletchley Park, UK. The next IFIP World Computing Congress (http://wcc2018.org) will be held in September 2018. This is not only fifty years after the so-called Garmisch conference coined the phrase software engineering, but also it was at a place that fifty years before barely was thinkable as a conference location because of the Cold War. Both anniversary and location are useful reminders that computing and informatics rely on the international community for innovation. The next IFIP Working Group 9.7 workshop will reflect on these changes. The NATO Software Engineering Conference in Garmisch, Germany was toward the start of a transformative decade for computing. The participants established a great deal of engineering there that undergirds modern practice and influenced its societal impact. The development can be said to have started a year or two before Garmisch, with ACM algorithms and the NBS FIPS standards, ending about a decade later with the Intel instruction set, the IEEE 730 software quality standard, the beginning drafts of the IEEE 754 floating point standard, and the start of standardization of Ethernet that would lead to IEEE 802. In defining the basis of software engineering as a profession, it gave an answer to the pressing needs of a perceived software crisis in their national economies. Even across the iron curtain, the USSR and East German computer scientists were adopting Western standards in order to be able to use Western software. Garmisch was not the only way in which cooperation between nations provided a framework for innovation, of course. Even before general-purpose computers, the field depended upon the international scientific community. For example, Polish cryptographers in 1932 using information from a German informant and supplied to them by French intelligence began decoding encrypted messages from the German military. In 1939, the information they gathered was revealed to British and French intelligence, leading to the application of the electro-mechanical technology to the design of the Bombe by Alan Turing at Bletchley Park. 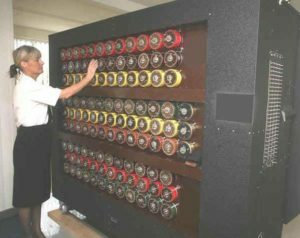 Code-breaking also spurred the development of Colossus during World War 2, which significantly influenced the development of first-generation computers. Prior innovations that laid the groundwork for the Polish bomba, the development of the British bombe, and the overall collaboration between Poland, France, and England. Histories of software engineering, on the occasion of the 50th anniversary of the NATO meeting in Garmisch, Germany that was the “first” software engineering conference. Soviet computing and other topics related to the history of computing and informatics in Poland and eastern Europe more broadly. The role of international standards and scientific communities in innovation. Intersections of nation, race, gender, and class in the history of computing in eastern Europe. Initiatives to preserve historical information about computing: archiving, digitizing, oral histories, reconstructing, and so on – in a systematic collaborative manner. Pedagogies using the history of computing in eastern Europe in the classroom. Papers relevant to the history of computing and informatics generally. Academic historians and lovers of history, computing and informatics professionals, archivists, museum curators, and others are welcome to submit papers for this workshop, which will be coincident with the IFIP World Congress from 19-21 September 2018. As has been our past practice, we request submission of draft papers for consideration. Accepted papers will be revised based on comments from reviewers and be distributed to participants before the workshop to ensure a lively conversation. After the workshop, authors will have the chance to incorporate feedback from the audience before submitting their final papers for consideration in the edited volume of selected papers for the proceedings, which will be published by Springer as a volume in the IFIP Advances in Information and Communication Technology (IFIP-AICT) series. In order to participate, please submit your paper via the Springer Online Conference Service. At the bottom of the page, you will see an icon to submit a paper. 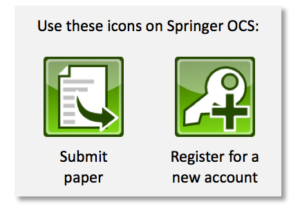 On the next page, if you have not used Springer OCS before, you must first create an account by clicking the icon to register for a new account. You will get a confirmation email and then you can proceed to search for our workshop (use the keyword HCEE2018) and then submit your paper. Springer OCS is available at https://ocs.springer.com/ocs/home/HCEE2018. Enquires in advance of your submission or questions about Springer OCS may be addressed to the chair of the working group, Chris Leslie (chrisleslienyc@hotmail.com). The working group website (http://ifipwg97.org) will make details about the workshop available in due course. A highlight of our program will be a remote demonstration of the Bombe created by Alan Turing that is demonstrated to visitors of The National Museum of Computing at Bletchley Park in the United Kingdom. The Bombe was used to find the initial settings for the Enigma machines each day. To celebrate the work of the three distinguished Polish cryptographers – Marian Rejewski, Jerzy Różycki and Henryk Zygalski – and the major contribution they made to the reading of Enigma messages throughout the Second World War, a message enciphered using Enigma coding will be transmitted from Poznań to Bletchley Park and be decoded using the replica Turing Bombe after which a reply will be sent back. Please register here to receive more information or ask questions about Bombe day at the World Computer Congress.